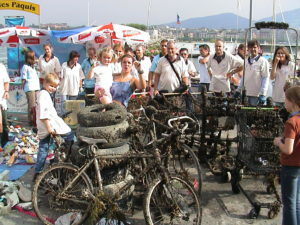 Like every year Aqua-Diving Club team is organizing 27th annual GENEVA LAKE CLEAN-UP: Genève Action Lac Propre. This year it will take place on saturday 14th and sunday 15th of September 2019. LémanBleu video at 11:25 et other youtube videos.